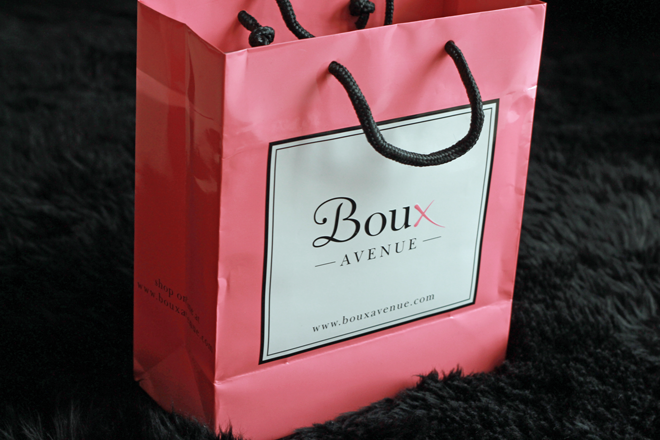 A few weeks back I was invited to pop along to a nearby Boux Avenue store for a bra fitting. Now, I've got to say, I'm buy my bras from M&S religiously. I'm a bit of an odd size, so they've really been the only retailer to offer affordable awkward sizes on the high-street for a while. But when I browsed the Boux site I was pleasantly surprised - plenty of awkwardly sized bras at very fair prices! First off, the store was really beautiful, with a real boutique feel. The staff were also fab - especially Kiran who did my fitting. She picked out several options for me in summery shades. I opted to go for an underwear set, despite the bikinis looking fantastic! After trying a few styles on, the Cheska bra was the best style for me. Needless to say, this pastel yellow shade is spot on for the season! If like me you're looking to branch out from your usual undie shops, Boux is certainly worth browsing. And don't forget to check out their swimwear range too! This is such a beautiful set! I always walk past my local Boux Avenue and lust over the beautiful underwear, one day I'll treat myself! I'm so useless with buying underwear, I've only ever actually had my chebs measured once. This bra is gorgeous though, beats my hideous skin coloured undies any day! since I gained weight my boobies grew, I have the perfect excuse to go forth and shop!